New F350C graphics speak to the technology under the cowl. Honed to perfection over the years, Yamaha’s new 5.3-litre F350C now has five full years of Limited Warranty coverage, wrapped in a refined outboard package with a list of benefits and features that are still unique in the marketplace. Yamaha’s F350 redefined offshore power when it debuted in 2007 – and still has little competition in its class. The first F350 offered an outboard capable of the raw thrust necessary for pushing larger and heavier offshore boats. Thousands of F350s later, there is still nothing like it. The durability and unique performance of the V8 Yamaha F350 has proven particularly instrumental for commercial operators whose livelihood depends on the reliability of their engines. While other manufacturers offer 350-horsepower outboards, none can match the big bore, normally aspirated flat torque curve of the 5.3-litre Yamaha F350C. There is simply no replacement for displacement. Nothing makes power as smoothly and consistently, and this type of reliable performance is what separates the Yamaha 350C from its competitor’s 2.6-litre, inline six-cylinder supercharged outboard. The torque curve of Yamaha’s naturally aspirated V8 delivers more power, more smoothly, compared to a supercharged six-cylinder outboard. New F350C graphics also speak to the technology under the cowl. The “V” graphic not only defines the cylinder arrangement, but also denotes the way the engine makes power. The right side of the “V” graphic represents the flatness of the F350C V8 torque curve – the classic marker for consistent, smooth, naturally aspirated V8 power. Yamaha’s naturally-aspirated 5.3-litre V8 has the best torque characteristics in the business. And it runs on 89 octane fuel, while some supercharged engines need 91 octane for maximum performance. 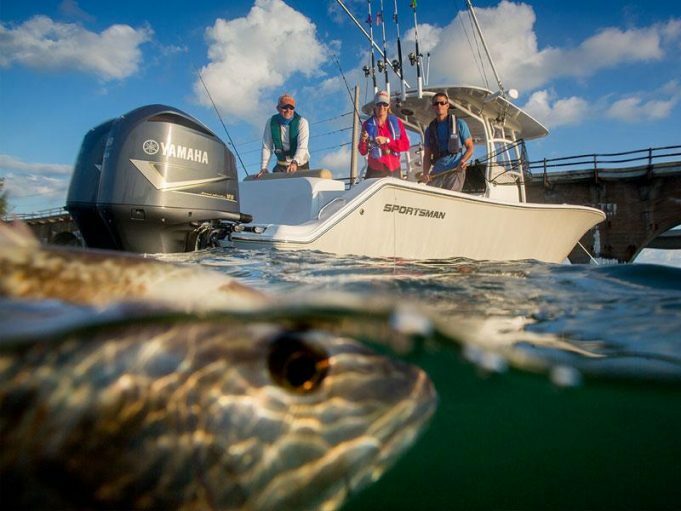 Boaters who need mechanical control can now enjoy all of the benefits of Yamaha’s F250 and F225, as the company introduces new versions of these two legendary 4.2-litre V6 offshore outboards. “These outboards are a great repower option for boats that can take advantage of the light weight and high efficiency of Yamaha’s 4.2-litre offshore platform, but don’t require digital electronic control,” said Jean-Francois Rioux, National Manager for Marine at Yamaha Motor Canada. Whether you choose digital electronic control or the new mechanical control F250/F225, you get the same features, power and performance inside. Yamaha’s 4.2-litre offshore models have big-bore V6 displacement thanks to plasma-fused sleeveless cylinders. This technology increases displacement without enlarging the outer diameter of the cylinder bores, resulting in an outboard with the largest displacement in its class. 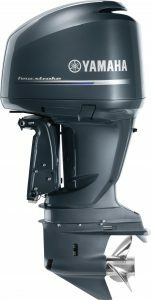 The technology also contributes to the light weight of these outboards. An electronically controlled single throttle valve and Precision Multi-Point Electronic Fuel Injection make the Yamaha F250/225 up to 17 percent more fuel efficient. With no need to carry two-stroke oil, the available space in the boat can be used more efficiently. V6 Offshore Mechanicals are more than 50 pounds lighter than the venerable Yamaha 3.3-litre V6s. In addition, they offer better low- and mid-range punch, as well as better fuel efficiency. When repowering with the Yamaha 4.2-litre V6 Mechanicals, there is typically no need to change over to a new control box, thus providing an economical solution for work boats or other craft where digital control is not needed or desired. The F250XB Mechanical will be available in both left- and right-hand rotation, while the F225XB Mechanical will be available in right-hand rotation only. The expected availability for the F350C, F225 and F250 is late summer 2016. Previous articleVIDEO: Fish Stolen in Broad Daylight!